Read about the most reliable and yet simple way to investing in stock market. Do the research and analysis and be sure to know, why you are buying a stock. With the evolution of internet everybody can be investing in the stock market and even more, everybody can make a quality stock market research, learn different research methods and use all the knowledge and resources available on the web today to learn basics of stock market. Let me get one thing clear - there is a difference between the possibility to make a free stock market research (free and enough data available), being able to make a good stock research and analysis (have the knowledge and time to do it right) and viability of doing it (do you think you will be able to compete in research and analysis area with professionals, do you really have all the information and at the same time like pros?). In the past, investing in stock market as well as stock market research and analysis were in domain of stockbrokers, institutional investors and other financial professionals - there was almost no data available for small investor to perform a stock market research. Basically only mutual fund investing made sense for private investors without sufficient data. Today, quality stock market research can be done, no question about it. Yes, it takes some time and knowledge, but it can be done. But don't expect to find a quality research and analysis on the web which will be served to you for free and without any work on your site - something like that doesn't exist! Authors of this stock market for beginners website would like to warn you about it, because this is one of the most dangerous things for investing beginner's - SCAM! Interested in Stock Market Predictions? When you will be surfing websites you will find many services promising you free stock market research and buying opporutnities with yields that are practically impossible to achieve when investing in stock market (so called 'hot stock picks'). Have in your mind, that it is probably too good to be true! You should be especially careful about initial public offers (IPO), since there is usually not enough publicly information revealed to undertake wise decision. Before you invest in the stock market, futures and options, always ask yourself a simple question: Why would anybody put a lot of work in researching something and then share it with you for free? If you have a good answer to this question, I would appreciate you would share it with us. You as investor have basically two options regarding stock research and analysis today - you can either register to paid service or you can make a stock market research on your own. In the latest case think about joining some of learning centers for new investors first. Yes, you can also combine the both approaches, which is also our recommendation. In any case, you will have to do your homework if you manage your investments by yourself and you would like to be successful when investing in stock market. A quality stock market research takes at least time, knowledge and most often also money. It is a step by step process, most often done as top-down approach, meaning you start by researching global macroeconomic, demographic and political situation; you continue with researching sectors, industries and economic cycles they are in; at the end you focus on microanalysis of companies from the fundamental and technical view. There are other areas that can be researched next to ones mentioned above, like for example investor's psychology. Anyone doing a stock market research, must have a special knowledge to do it as it has to be done on a high level in order to suceed when investing in stock market. When speaking about investing or trading, your success depends mostly on having the right information at the right time. Quality stock market research, which will hopefully bring you some money, is therefore quite a project; it must be done fast, you have to be able to match different types of information and find something that others are not able to see. And believe me one thing - you have big competition in this area. While researching the stock market, you are competing with the whole world, with professionals, which do nothing else in their life then follow a sector of few companies. They know every detail about these companies, about the management, about their strategic plans, their strengths and weaknesses. To be successful when investing in stock market, you must have some kind of advantage over your competitors; could be access to information, could be technology, could be your brain, maybe you are insider? Just in case you don't know, trading based on insider information is strictly prohibited and is treated as a criminal act. Well, if you are not able to do a quality stock market research by yourself, what options do you have before investing in stock market? One option is to pay for research and analysis done by professionals. But even in this case you can not 100% rely on the information you get. Why not? You never know the real motive of the author of the research - with investing it is always wise to be skeptic; there are known examples from the past, when some institutional analytic put a stock on a buy list with the reason to motivate people buying it while on the other side they had agreement with one hedge fund to unload the stock out of their portfolio. Another problem with quality researches from professionals is that they can be very expensive. If you can not totally relay on researches made by professionals and are not able to prepare in-depth stock market research by yourself, than my suggestion is, to do something in between; maybe pick one or two payable and not to expensive professional sources (like MarketWatch) and combine it with you own stock market research before investing in stock market. This way you will be able to verify the recommendation given to you by professional sources. You can very fast get some basic knowledge of the important things to watch while investing in stocks, like macroeconomic releases, earnings releases, sector analysis, peer to peer comparison of companies in the same industry and even basics of fundamental or technical analysis. There is one more recommendation I can give you - do not overload with information and resources on the web. There is so much stock market content out there that you can read it and read it and read it and you will never come to an end. You will soon find out that some information sources are posting even contradictory information. That is why it is very important for you to filter out reliable sources from crap and then focus on them. Regularly follow the overall global stock market trend and check what is happening on other markets, like bonds, currencies, real-estates and commodities - this type of analysis is so called intermarket analysis and it should give you an answer if it is a good time to buy stocks or not. One good online source is MarketWatch.com for example. Analyze global and regional macroeconomic environment and important data releases. Among the most important ones are GDP growth, unemployment, industrial production, CPI, business climate, and so on. The purpose of this step is to find the regions and countries that are currently attractive for investing in stock market. Analyze the industry and sector you plan to invest in. Get familiar with typical business cycle in that sector - you must know at which point you are currently and where you are heading. There are times, when one industry is very attractive for investing while another is still in a big downtrend. Some sectors are very cyclical while others are very stable. Use stock screeners to help you narrow down you stock picks by making sure they fit your predetermined criteria. Analyze the fundamentals of the company which stock you intend to buy. Read the latest news about the company and get familiar with company competitive advantages and weaknesses. This part of analysis includes researching and comparing the company to its biggest competitors. You should cover financial information as management ability - check what insiders are doing lately with stocks - are they buying or selling? Before investing in stock market get familiar with some more technical data. Determine the trend of the stock, define support/ resistance areas, get familiar with market trading information, like 52 week high, low, average volume, and so on. Use different stock charts in different time frames. Carefully read the financial calendar of company events, like when there will be the next release of quarterly earnings for example - in such case the stock is often exposed to much higher volatility than normally. You can find most of this data for U.S. stocks on the New York Stock Exchange website (www.nyse.com). Join community forums also. They give you the opportunity to ask a question, get a second opinion or submit your trading idea to others. Can be very helpful. As you can see, there are many different topics to be covered before investing in stock market and this list is by no means complete. We didn't mention the importance of choosing the right stock broker and testing trading platforms for example. You should explore related articles about stock market research to learn how to invest and get your knowledge to advanced level. Only than you will be able to more clearly define the research and stock market analysis as a part of your trading/ investing plan. As you will see, some stock market investing strategies use several research methods, while other uses only one. You will use those research methods that you find valuable for your trading style. Economic and earnings calendar are of a huge importance for stock investors, not to mention day traders. Public economic and financial releases drive the market. The Baltic Dry Index (BDI) provides an assessment of the price of moving the major raw materials by sea and is one of leading economic indicators predicting future global economic activity. VIX Volatility Index - Is High VIX Value Suggesting the Bull Market Is Over? CBOE VIX Volatility Index is a measure of investors fear, measuring expected volatility of S&P 500 index options and is an interesting indicator of where the market is going. Stock market screener is a tool which helps investors and traders to find high probability stocks or mutual funds/ ETFs trading opportunities based on user defined criteria. Interested in stock market prediction, where the DOW, S&P500, and NASDAQ are headed? What about gold, oil, EUR/USD? Enjoy reliable 6 months forecasts here. Technical stock analysis simplified and summarized in 10 laws of technical trading. A must read for beginners in stock market trading. Stock market technical analysis is the charting method of analyzing securities. Price and volume are strictly driven by demand and supply, also forming the future trend. Identifying stock market trend is one of the most important steps of technical analysis and then acting in the direction of the trend rather than going against it. Support and resistance trading is important concept of technical analysis, describing the battle between bulls and bears at price levels that are difficult to cross. It is not only the price of a stock that attracts technical analyst's attention, abnormal trading volume is also extremely important part of stock market research. Although technical analysis charts are very simple to use, there are some things to be careful about when interpreting the story the chart is telling to you. Different types of stock market charts are used in technical analysis. Most widely used are line, bar and candlestick charts. Point and figure charts are useful technical analysis tool used by advanced investors to help them determine buy and sell signals. Stock chart patterns are formations of stock price movements which are used by technical analysts to indentify probable future price trends mostly over long-term timeframes. Trading moving averages help traders and investors to identify trend, trend reversal and support/resistance levels by reducing the noise out of the stock price movement. Stock market indicators provide useful additional information about stock market trend, momentum, volatility and other aspects of technical analysis. Fundamental stock analysis as basis for investment decisions tries to estimate company's intrinsic value by researching its financial statements and its qualitative factors. Qualitative data analysis is researching company's business model, competitive advantages, management, customers, competition, regulation and others. Income statement analysis is related with research of company's revenues and expenses and comparing the figures to its past and industry peers. Balance sheet analysis reflects the financial health of the company through research of its assets, liabilities and equity. Cash flow statement analysis gives investor the information of "true" profit, because it relies on real cash transactions in the time they occur, which is different to revenues and expenses. Discounted cash flow and ratio analysis are the most common used stock valuation methods used by Wall Street analysts. Let us have a look how they work. Discounted cash flow valuation is a useful method of calculating stock fair value, which is useful for long-term investors when taking investment decision. Selecting online stock broker is an important initial step of every trader or investor. Take smart decision with reviews, tools and articles published here. 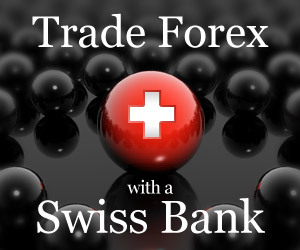 Do you plan to trade currencies but don't yet have a broker? We provide Forex broker reviews so that you will easily select the best one for your needs.